The extract differs from the tea in some ways. Individuals interested in supplementing their diets with kombucha tea should know the difference between the beverage and kombucha extract. Despite popular belief, the two substances are not the same. Though a quick search for just about anything related to kombucha will yield thousands upon thousands of results, the majority relate strictly to the famous tea. Known for its numerous health benefits, kombucha tea enjoys a massive worldwide following and seems to grow in popularity every day! This comes as no surprise, especially given the mounting interest in natural remedies. 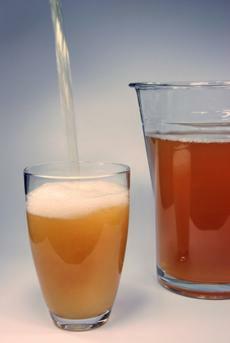 Kombucha tea is also more unique than the average tea in that its preparation method is so unique. Consumers may choose to concoct the tea themselves or purchase a ready-made version. If you're interested in learning more about kombucha tea, be sure not to confuse it with kombucha extract. The extract is essentially a concentrated version of the beneficial kombucha culture, also known as SCOBY, or the symbiotic culture of bacteria and yeast. One of the most important factors to keep in mind, however, is kombucha extract's alcohol content. Many vendors, usually commercial companies that have joined the "natural products" business in response to the industry's ever-growing popularity, infuse their extracts with alcohol. This is undesirable for a number of reasons, but primarily because excess alcohol has been thought to destroy the beneficial probiotic bacterium and yeasts that make kombucha such a draw in the first place. The vendors, however, will tout their product as highly beneficial due to its acid content. It's true that kombucha's various acidities are greatly responsible for the benefits it provides. Gluconic acid, for example, is said to be a blood acidifier. However, the benefits may as well be canceled out when we take into consideration that the alcohol is usually added to commercial blends in order to encourage a longer shelf life. In fact, certain benefits are diminished greatly by the addition of alcohol. Kombucha, for example, is said to regulate the body's pH balance. When alcohol is added, the probiotics are destroyed and thus cannot do their work to create the beneficial balance in the gastrointestinal tract. It's not just the preparation method and content that makes the tea and extract different from each other. It's also the method of consumption. While the tea may be sipped routinely throughout the day, the extract is taken either by placing several drops (15-20 is common) under the tongue, or by squeezing the same amount into a glass of juice or water. The beverage can then be consumed up to three times daily to reap its rich rewards. Note that while the extract is primarily available as a liquid, some companies also offer a capsule formula that contains the extract in dried form. These are convenient if you'd rather not use the dropper on the go or just find it more convenient to swallow a pill up to three times daily. Happy Herbalist: This site carries a number of varieties of kombucha extract, all reasonably priced. Wise Choice Market: The perfect choice for individuals on the go, this company's kombucha extract is packaged in a convenient dropper bottle. Herbal Remedies: If you're a kombucha devotee, consider investing in a case such as the one this company offers. Twelve bottles are included, and the convenient dropper bottle makes it portable.